The history of ESN in the UK is a story of ups and downs. The precise beginnings are unclear but various records show ESN Hull to be the first ever section established, during the 1991/1992 academic year. In 1994, nobody came forward to assume responsibility for the section and eventually it fell into a state of dissolution. Nonetheless, there was hope for ESN UK when in January, 1997, Anne Fairweather and Anja Groth Larsen returned from an Erasmus semester in Gent. By this point, the UK was absent from the ESN map, so they went about setting up a section at Leeds University. They even managed to return to Gent a few months later for the 7th AGM. At the following AGM in Graz (1998), Anne had the privilege of becoming the first ever National Representative of ESN UK and witnessing the famous Pallomeri speech by Matteo Baggio of ESN Italy. After her mandate ended, ESN Leeds also started to disappear. Anne went about establishing a section in Bath in the year 2000, but by 2001, both ESN Leeds and ESN Bath had vanished. Therefore, ESN UK was once again vacant from the ESN map. Come September 2002, a group of students returning from their exchange in Pisa contacted ESN International to reawaken ESN UK with a section in Leicester. This group was led by Tim Allen, who went on to become the second National Representative. ESN UK grew the following year with the establishment of ESN Edinburgh. This section became pivotal in ESN UK's survival when they were elected to host the CNR (Council of National Representatives) meeting in December 2005. This was an attempt to encourage other Erasmus societies from the region to get involved. Thus, when Ewan Munro came on the scene in 2006 as the National Representative, the foundations were already being put in place for a mini-golden era. Despite many UK universities being invited to join ESN, Helen Mobey from Durham was the only person to accept, with ESN Durham being accepted as a new section. By 2007, under the stewardship of Anders Aufderhorst-Roberts, ESN UK had expanded to 8 sections. In November of that year, ESN Leeds went on to host the first ever National Platform, which saw a National Board of ESN UK being elected. Over the next year, James Beckett continued the great work of Anders with sections in Sheffield and Cardiff organising the next two National Platforms. James had moved on to new pastures by 2008 and left the country in the capable hands of Leo Smith, who saw the UK network reach a new peak of 19 sections. The recruitment of new sections was not stated as an active policy, but perhaps this demonstrated the growing interest in the ideas of ESN and exchange opportunities. Shortly after Leo handed over the NR reigns, he headed to Brussels to become the new ESN International Secretary. Back in the UK, his successor Martin Underwood, and the National Board's hard work had developed into the manifestation of the first National Event - a Spring Break surfing experience in Newquay, 2010. However, towards the end of Martin's mandate, it became hard to find a willing replacement for the role, so Martin stayed on to keep a dwindling ESN UK alive for another year. In 2011, Vadims Sondors took over from Martin and continued the initiative of organising National Events, with the now annual trip to Amsterdam. Alongside the National President, Andreas Mathikolonis, ESN UK started along the path of building up a network again with a strong presence at international events. 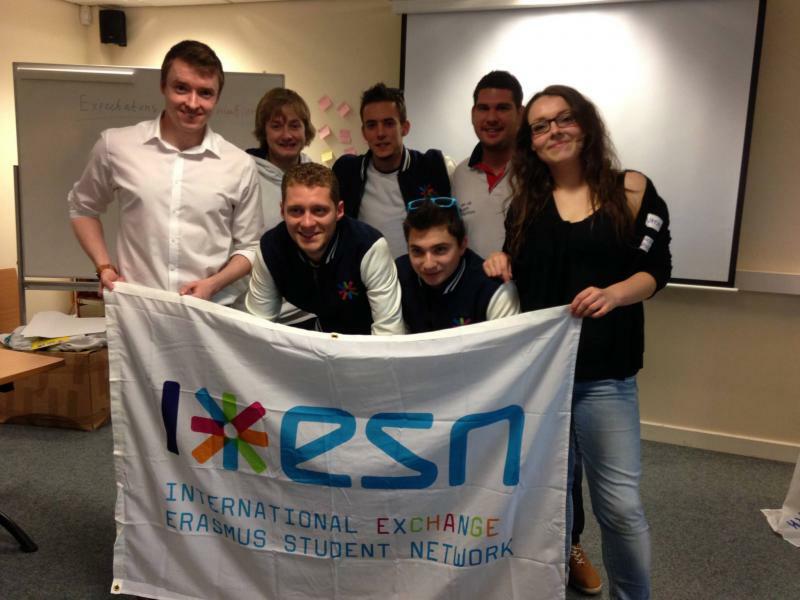 In 2012, ESN Southampton hosted the Western European Platform, which managed to infuse new life into the section's interest in ESN International events. In 2013, the National Representative, Matt Clemo, worked hard with John Chapman, National Secretary, to develop some national statutes. They were introduced and accepted at the October 2013 National Platform, hosted by Oxford Brookes. This article was adapted from Matt Clemo's 2014 entry in the ESN History Book.